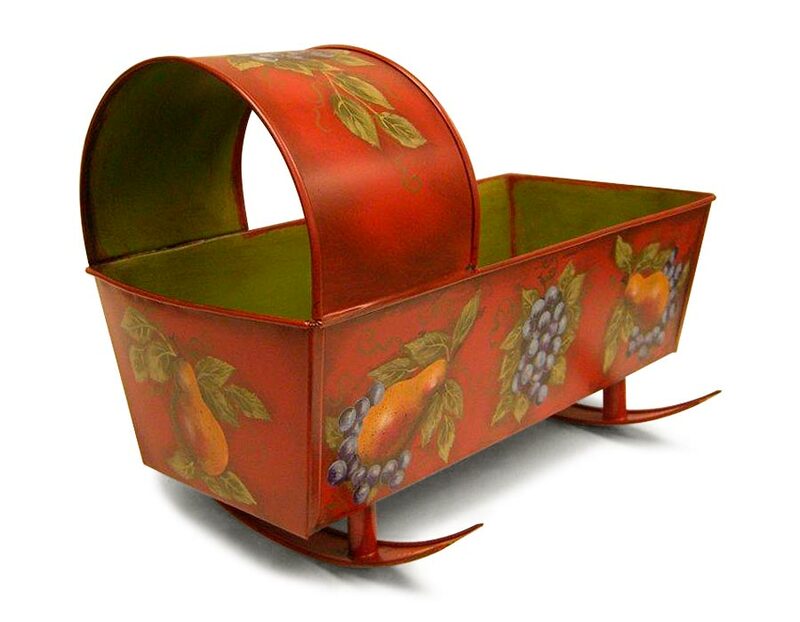 Tole is French for sheet iron and originally referred to the heavy-gauge iron trays and metal ware items produced and decorated in France during the 18th century, though the word today has broader applications. 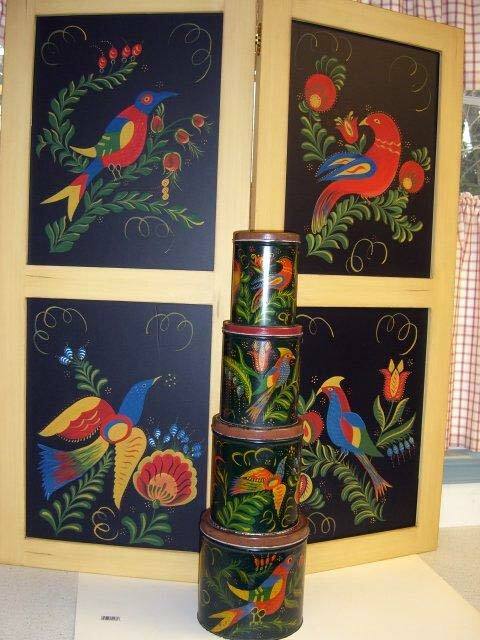 For me, tole refers to painting on tin. This technique was traditionally used on kitchen items such as trays, coffeepots, teapots, cups and mugs, and canisters, as well as document boxes, trunks, and match safes. 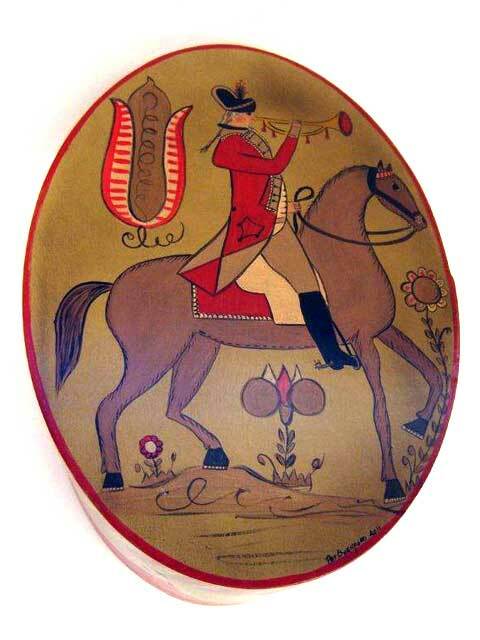 Tole painting was first done in New England just after the Revolutionary War. It became popular among the Pennsylvania Dutch when tin peddlers carried unpainted wares from New England tinsmiths as far south as Virginia to sell to a wider market. I have been doing decorative painting for more than three decades, with tole painting on tinware being one of my specialties. My work has been displayed at art shows and museums, including two in Germany. I am a juried member of the Pennsylvania Guild of Craftsmen, a member of the National Society of Decorative Painters, and a Brazer guild members of the Historical Society of Early American Decoration. I have been privileged to study with many well-known decorative painters, including Jackie Shaw and Jo Sonja Jansen. In 1998, I was selected as one of the top 200 craftsmen working in traditional forms by Early American Life magazine, and I was one of 12 Pennsylvania Dutch artisans featured in the documentary, Expressions of Common Hands: Folk Art of the Pennsylvania Dutch. 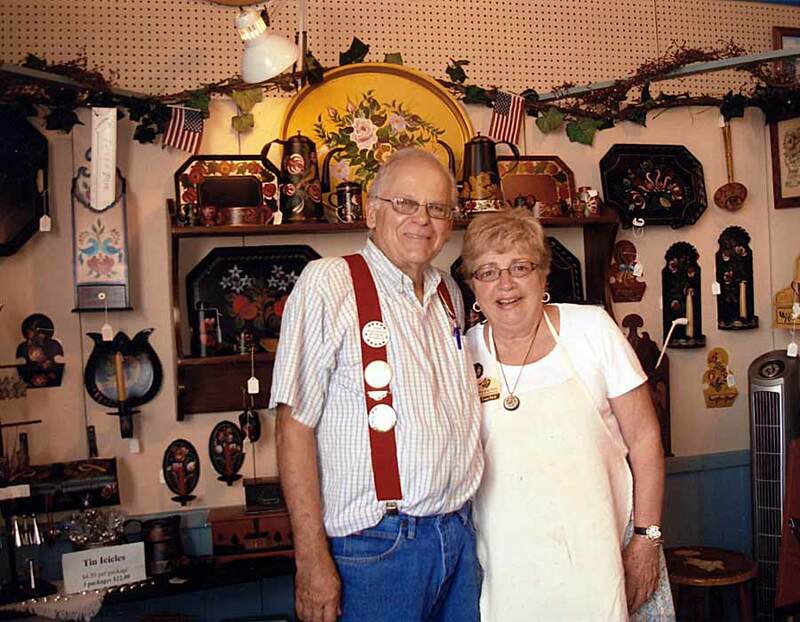 Most of the tinware items that I decorate have been handmade by my craftsman husband, Ray, who is a tinsmith, woodworker and clock repairer. I adapt many of my designs from tracings of art found on old pieces of tinware, painting them on our newly handcrafted pieces. 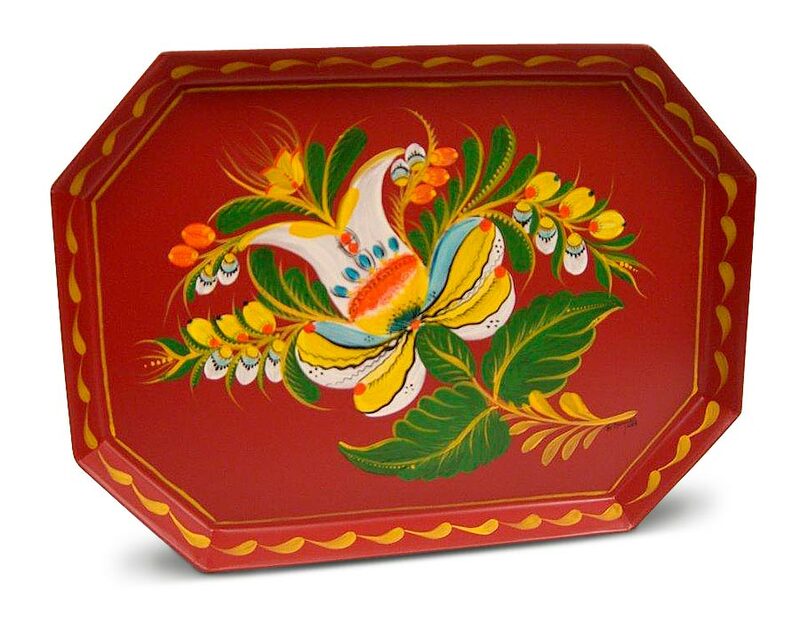 Lehnware is a term for the paint-decorated woodenware made and painted by Lancaster native, Joseph Lehn. Joseph painted almost to the day he died on September 16, 1892. 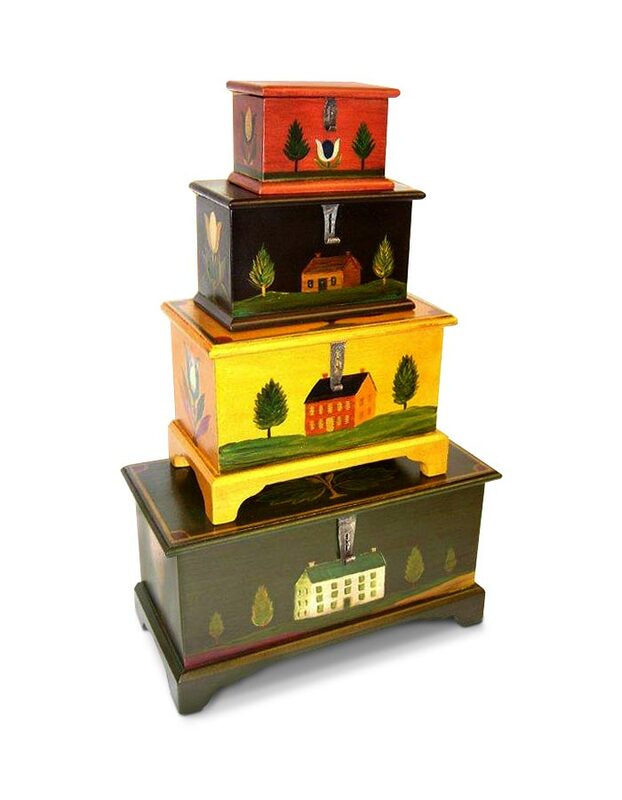 He was well known for his woodturnings that he painted in bright colors. These included cups, goblets, Saffron cups in several styles, eggcups, cups and saucers, seed chests, miniature chests, and so many more items. At today’s auctions when Lehnware comes up for sale, it usually commands high prices, especially if the paper label is still adhered to the bottom that has his signature, the date he made and painted the item, and his age in years at that time. The turned items were often painted a salmon, pale yellow or light pink background. 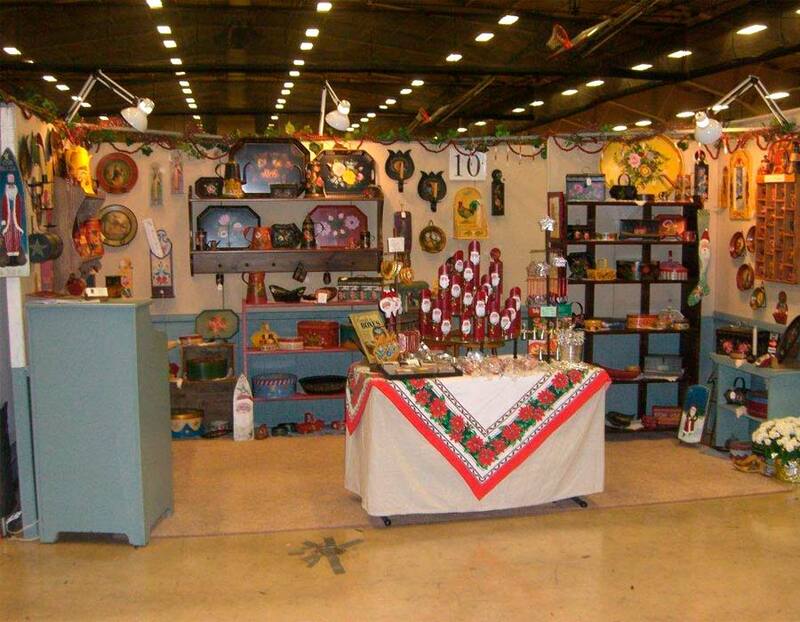 They had unique folk art flowers, leaves and buds, and some even had floral decals. Buckets were another popular item made by Lehn. The lathe-turned items had bright colors banding them, including reds, greens and bright blue. Pete Ompir grew up in Pennsylvania and moved to the “big city” (New York) after he studied fine art at the Art Institute of Chicago and at the National and American Art Academies. He began his painting career during the Depression era of the 1930s. He soon found out that the Depression era brought in no funds for his portrait painting, so he began painting on “useful” objects such as tin pitches, maple tables, graniteware, ladles and any other useful household articles he could find. He sold the painted objects through an agent and his works soon generated a great demand for more. His work was selling at the exclusive shops of Macy’s, Neiman-Marcus, Sloan’s of New York, to name a few. Peter was a master of design and color and used antiquing to add depth and warmth to his work. 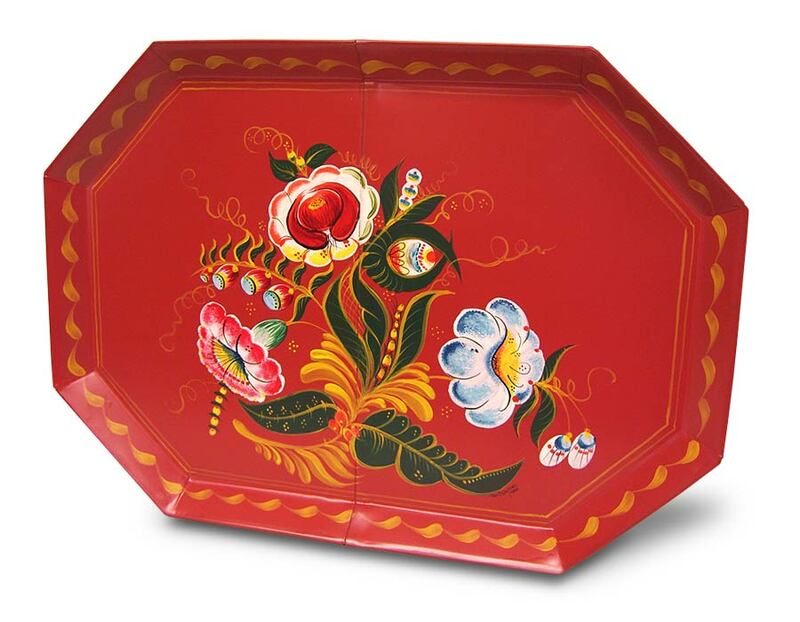 His primitive style fruit and characters with a pointed nose, military-style clothing and often carrying oversized objects such as strawberries are typical of the Ompir style folk art painting. Warner Wrede continued to paint and his painting career spanned over 50 years. John Dunn, a folk artist, visited Warner the summer that Peter died. John refers to his talent as a copier of the Ompir style, and is now the most sought out painter for this style of painting. According to German custom, a bride was given a “bride’s box” in which to keep precious mementos, or perhaps personal items given to her by her family or even husband-to-be, going into her marriage. Oftentimes these boxes were used to preserve hats, documents, candles, baptismal clothing or the bride’s sewing supplies. Some boxes held a scene of a couple, while others has a formal type portrait setting of the couple and usually includes names, dates or other inscriptions. Boxes were sometimes made of shaved wood, known as spanschachtel, or of thin solid wood formed into an oval shape. Fine examples of bride’s boxes can still be found today in museums and antique shops and date back to the late 1700s and early 1800s. These heirlooms are valued at $1,000 to several thousands of dollars, or even higher, depending on condition and provenance. The boxes that Ray and myself recreate today are made from a combination of cherry and poplar wood, hand cut and steam-bent into shape, secured with brass tacks and wooden pegs—just as the old boxes were created. They have finger-lap sides as well. Ray individually handcrafts each bride’s box and I free hand-paint both the outside/inside in a style replicating the antique bride’s boxes. Each bride’s box we make is unique and meant to be a modern heirloom that brides may cherish and pass on to the next generation.